It’s been a couple of months since our last deal alert on Norwegian to Copenhagen and Oslo. Today, Norwegian is offering some more deals to Europe this winter on flights to Copenhagen, London, Oslo and Stockholm starting at $313. Keep in mind that these flights are operated by Norwegian, so if you’re looking for any frills, like food or a checked bag, you can expect to shell out more on fees. It’s also worth nothing that Scandinavia is really cold and dark in the winter, so unless you’re planning to visit family or connect to warmer destinations in Europe, you might want to pass on these fares. The absolute cheapest deals we found are from New York (JFK) to Stockholm (ARN) starting at $313. Flights to Oslo (OSL) and Copenhagen (CPH) will cost a bit more, at $318 and $356, respectively. And if you’re a bit hesitant to go to Scandinavia in January, Norwegian has nonstop flights to London (LGW) starting at $497. The deals appear to be available in December through February. All of these flights are also scheduled to fly on Norwegian’s Dreamliner, which should make the flight a bit more pleasant. Reminder: You can save even more by booking in NOK through the Norwegian version of the site. See this post for more info. 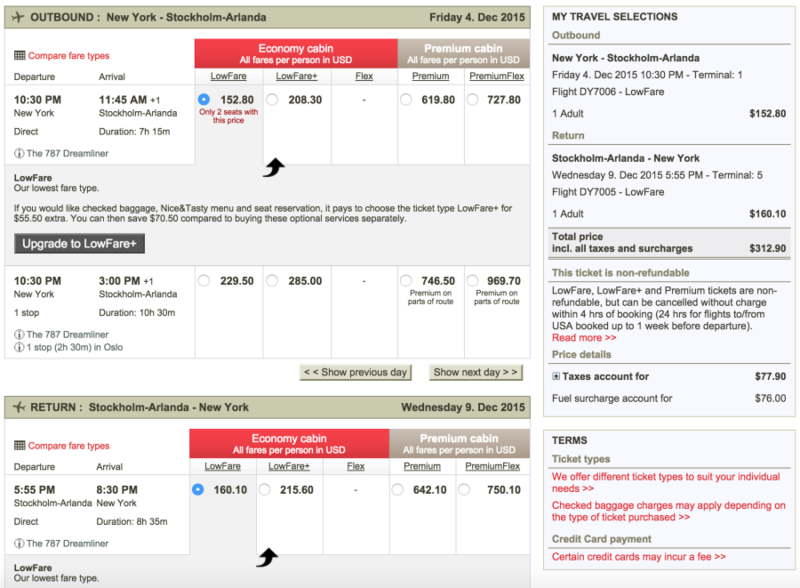 New York (JFK) to Stockholm, Sweden (ARN) for $313 on Norwegian. 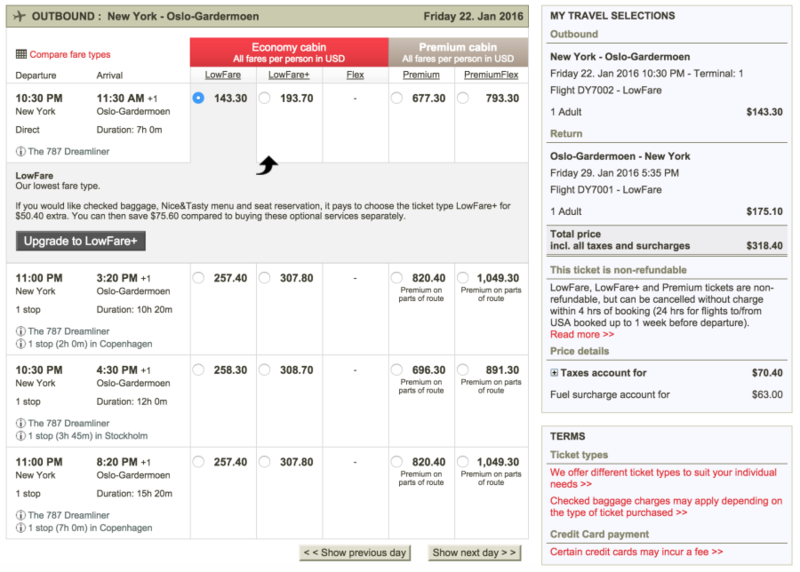 New York (JFK) to Oslo, Norway (OSL) for $318 on Norwegian. 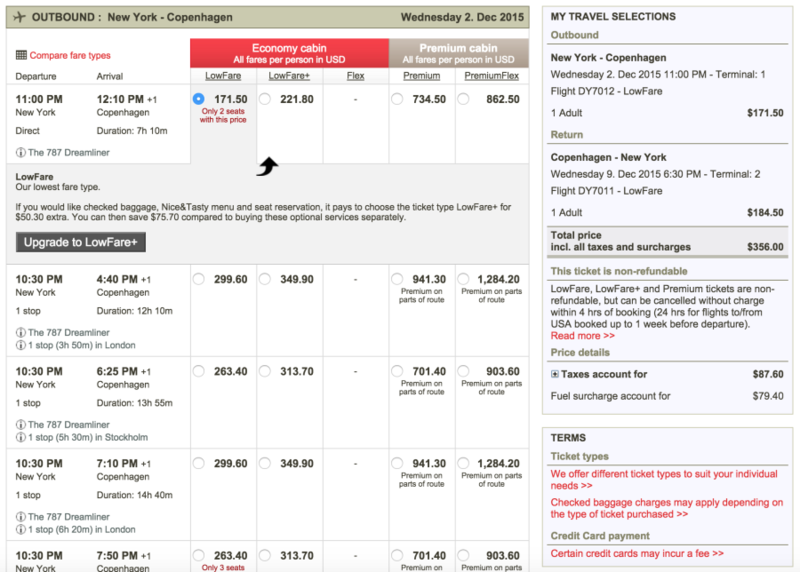 New York (JFK) to Copenhagen, Denmark (CPH) for $356 on Norwegian. 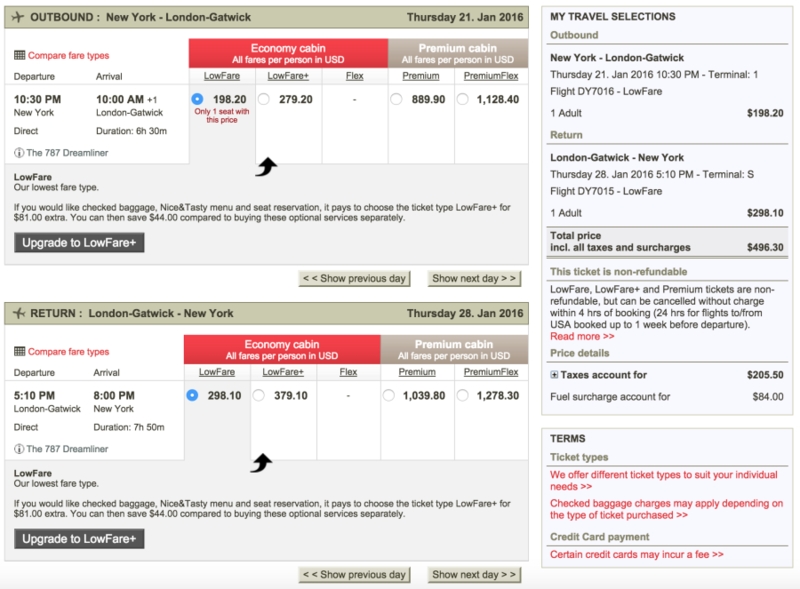 New York (JFK) to London, United Kingdom (LGW) for $496 on Norwegian.